Recorded at Larrabee Studios + Magna Graphics Studios, Los Angeles + New York, USA - Larrabee Studios = January 3, 1975 and Magna Graphics Studios = August 4, 1975. Studio recording :: Silver CD :: Lossless FLAC. Files: 19.:: Size: 326.24 MB (flac). 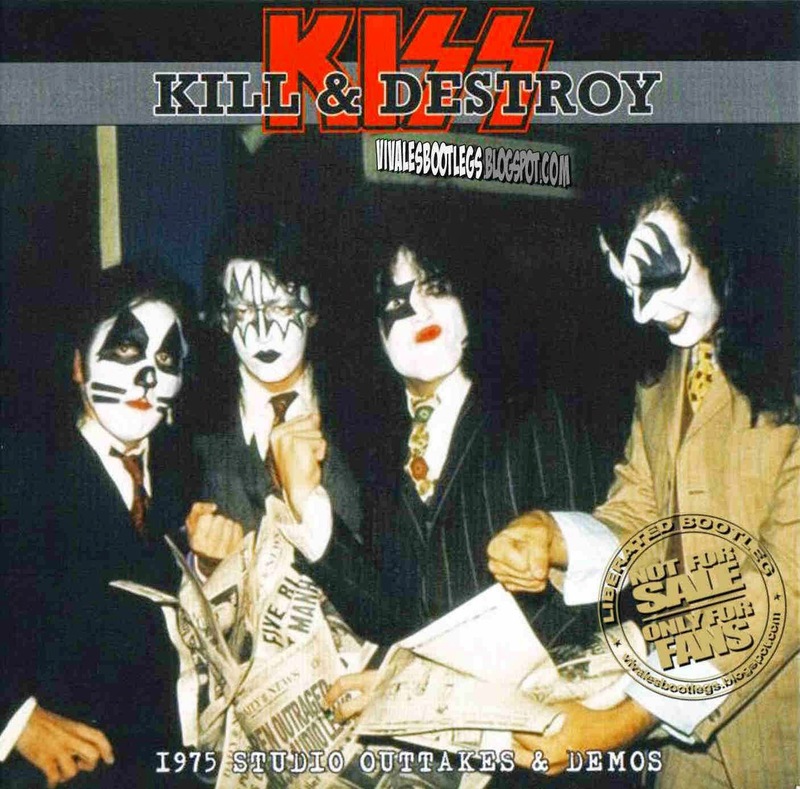 Personnel: Paul Stanley – rhythm guitar, lead vocals / Gene Simmons – bass guitar, lead vocals / Ace Frehley – lead guitar, vocals / Peter Criss – drums, vocals. 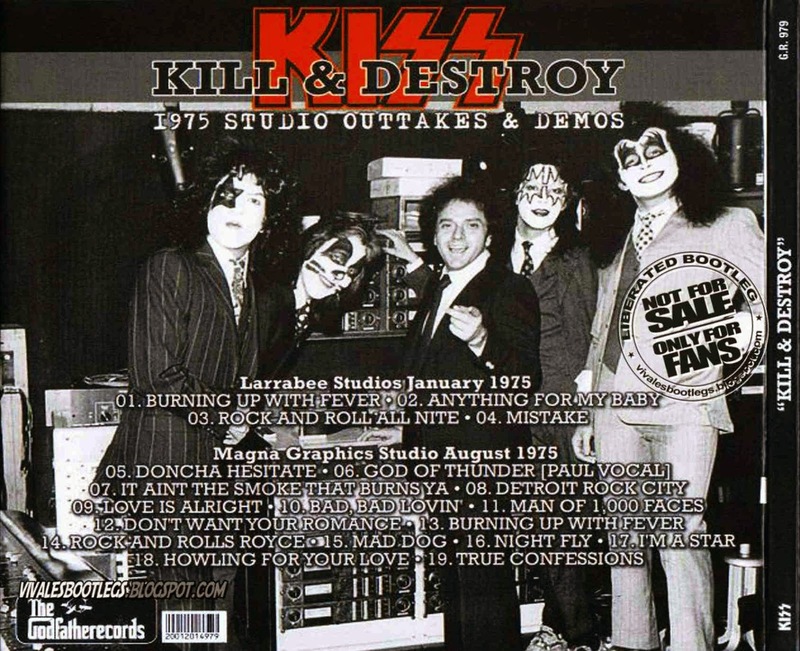 Notes: The latest batch of KISS studio material focuses on an important year in KISStory, 1975, the year when the band went from a strong and up and coming live act to larger than life superstars. After the lackluster sales of Hotter Than Hell Casablanca owner Neil Bogart decided the band needed a new record and one with a hit. While the record was recorded in early February 1975 at Electric Lady Studios in New York City, the band did do some initial work at Larrabee Studios in Hollywood, California from January 1975 and is the source for the first four songs on this set. The sound for all four songs is excellent soundboard, a little dull sounding but consistent throughout, the inside cover lists them as being from January 3 where the excellent KISS alive forever places them from January 24-25..(Info taken from collectorsmusicreviews).